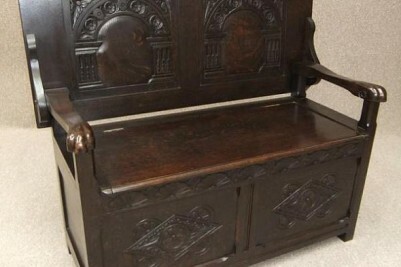 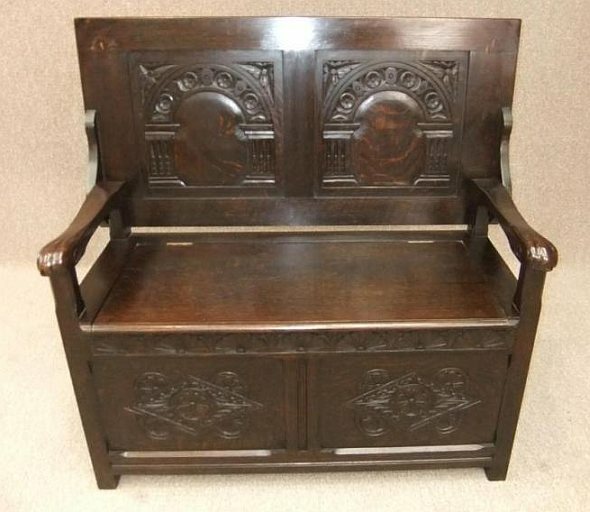 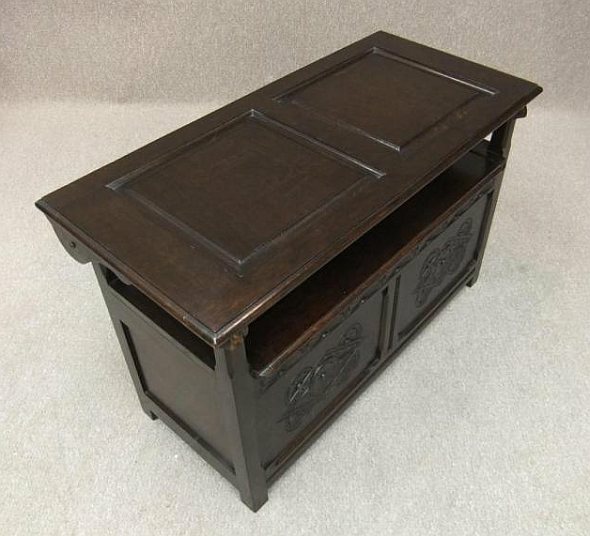 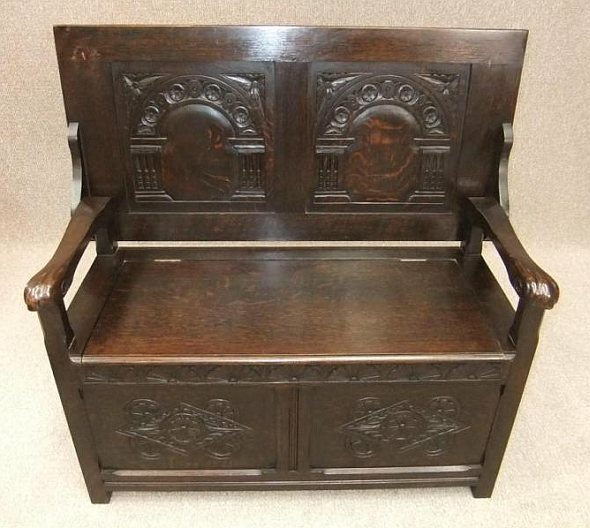 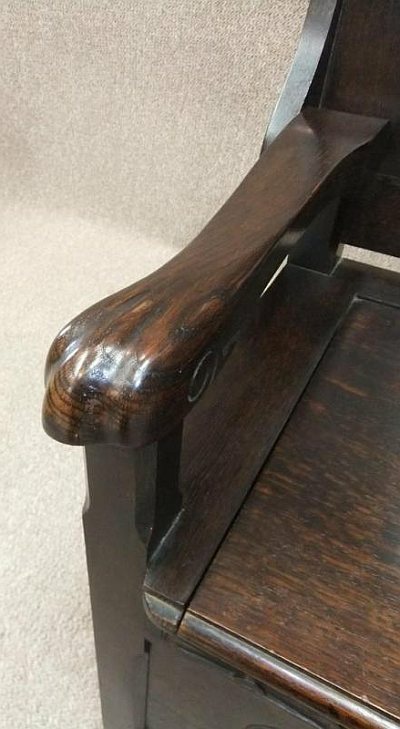 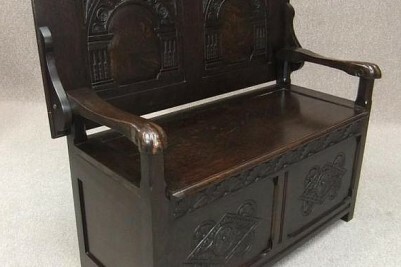 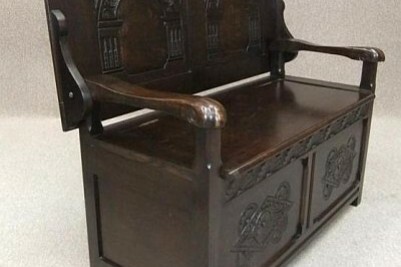 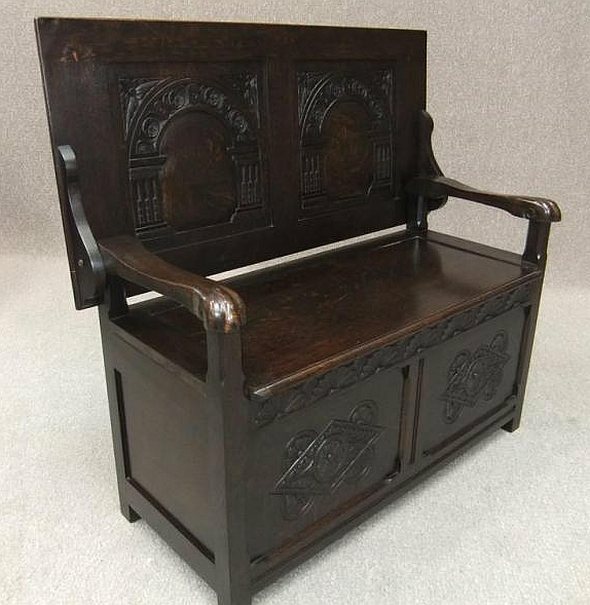 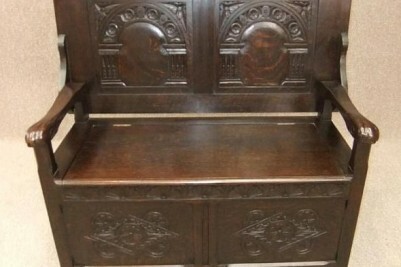 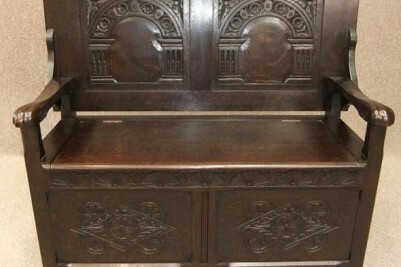 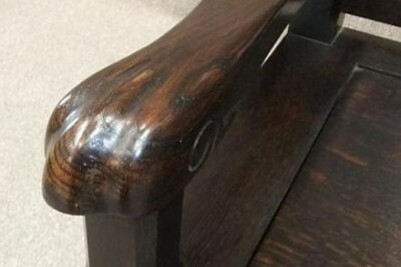 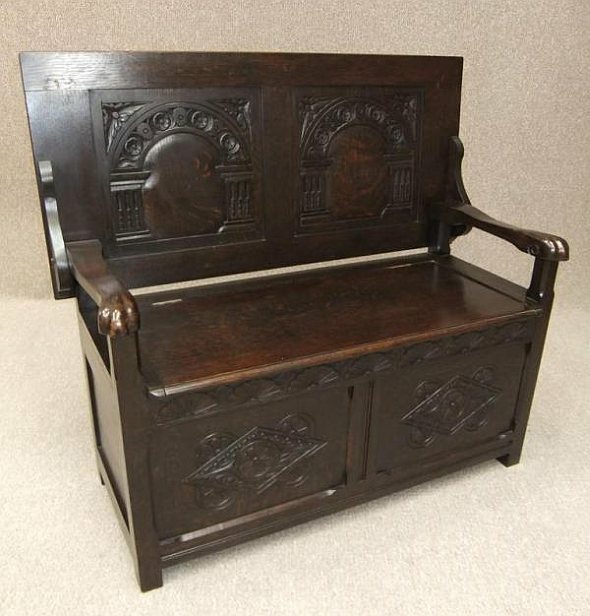 An extremely attractive Edwardian solid Oak monk’s bench, featuring a decoratively carved back design and lion paw arms. 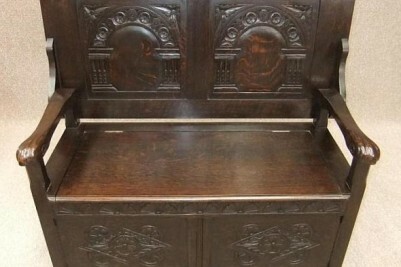 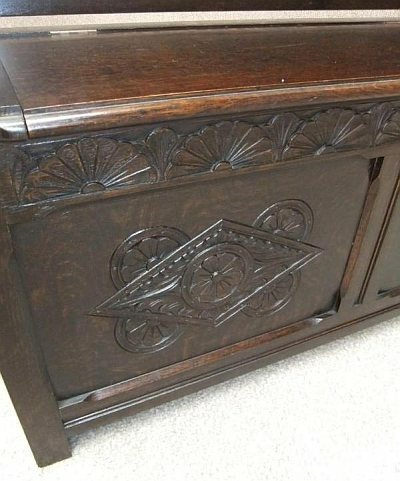 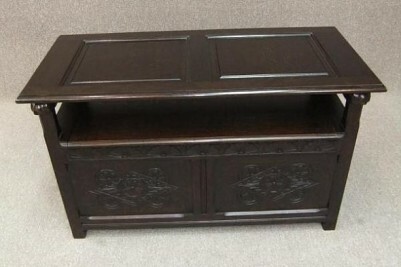 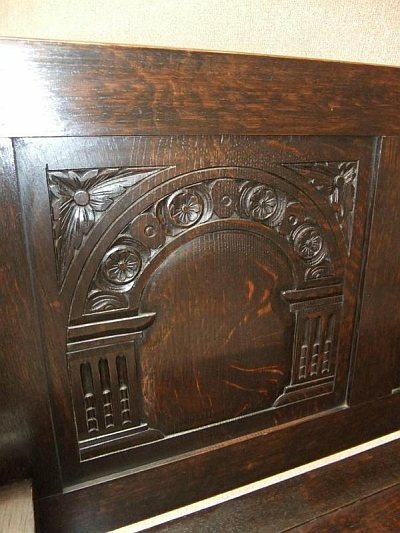 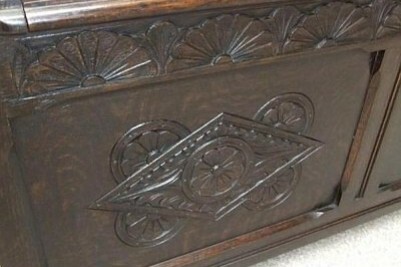 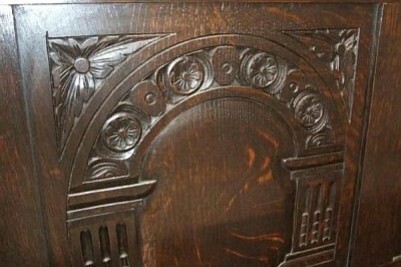 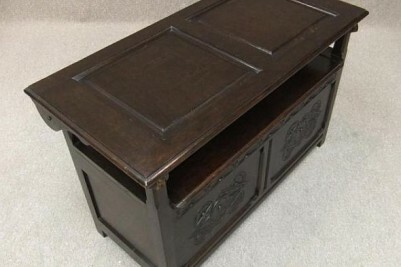 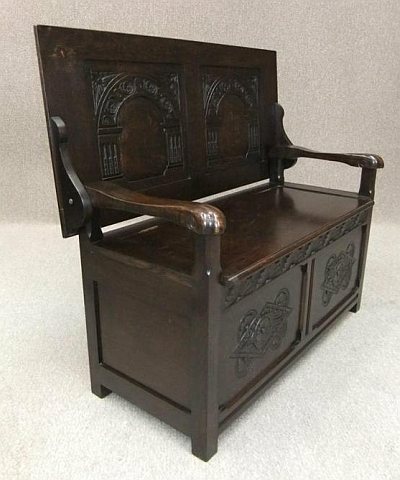 These lead down to a large seating area complete with lift up seat; decorated with beautiful carvings to front. 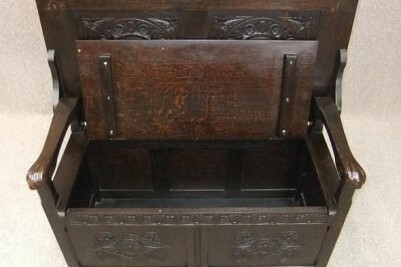 The seat section lifts up to provide a useful storage area for boots, shoes etc. 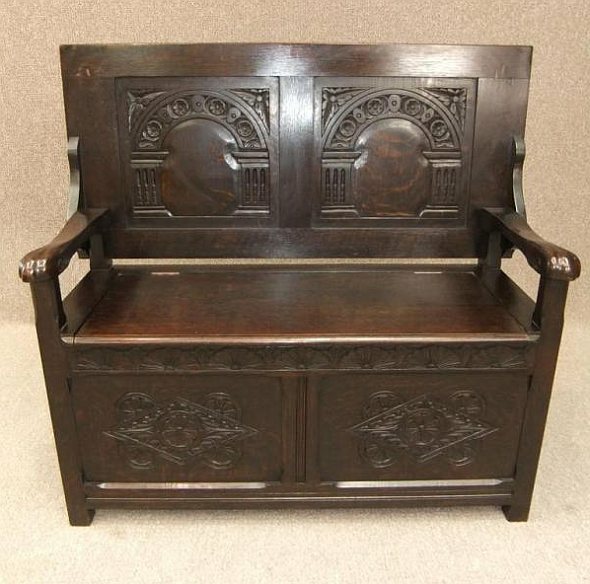 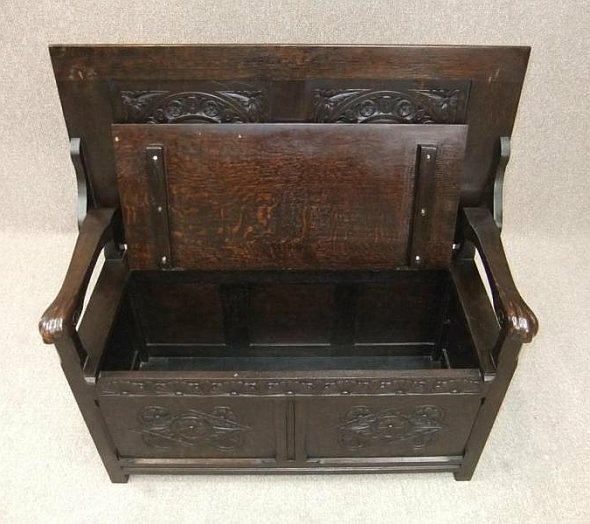 This item is in a lovely medium Oak colour and in lovely condition for its age, with just a small amount of everyday wear and tear.